Home/Investigators and Research Centers/Investigators/Alfonso Bermejo, M.D., Ph.D.
Dr. Alfonso Bermejo, MD, is an attending physician at MINIFIV CLINIC Madrid, Spain, where he serves as the Clinical Director. He obtained his Medical degree from the University of Alcalá in 2005, and completed his residency training in Obstetrics and Gynecology at the La Paz Hospital in Madrid. 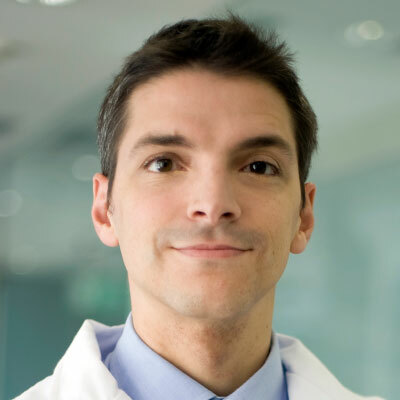 In addition, Dr. Bermejo obtained his PhD at the Medicine and Surgery Department of the University of Rey Juan Carlos School of Health Sciences in 2013, and completed his Reproductive Endocrinology and Infertility fellowship training at IVI Madrid Clinic. Dr. Bermejo has been involved in teaching since his early career, participating as lecturer for medical students of Rey Juan Carlos University. Dr. Bermejo has been invited to speak nationally and internationally and has authored and co-authored many peer reviewed publications, and published book chapters. He serves as Ad Hoc Reviewer for Reproductive BioMedicine Online, Human Reproduction, and Reproductive Biology and Endocrinology. His research interests include minimal stimulation and natural IVF cycles and endometrial receptivity. Prog Obstet Ginecol, 54(10):532-6, 2011.